Welcome to the collection of photoessays at Africaphotos.com. Please feel free to contact Africaphotos.com with comments or questions about any of the photos displayed here. All are available for your publication needs. We will be adding new photoessays from time to time. Please check back frequently for new work. NEW: Kuito, Angola: Land of Mines. 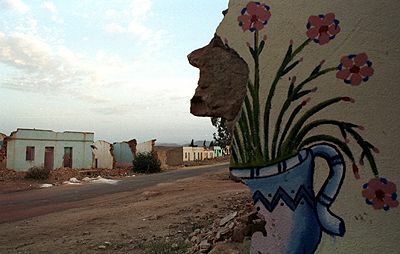 June 2000, Conflict in the Horn: Ethiopia-Eritrea. Zanzibar votes: The island's troubled election.